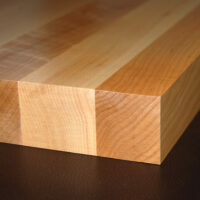 Tree Products Hardwoods is the foremost distributor of exceptional hardwood lumber, mouldings, and plywood in Oregon. In addition to our showroom and warehouse, Tree Products Hardwoods utilizes a state-of-the-art milling facility to produce custom architectural millwork to the highest standards. By combining our commitment to excellent customer service, premium products, and constant innovation Tree Products Hardwoods is the industry leader. Tree Products Hardwoods staff averages over 25 years of trade experience. We are knowledgeable, dedicated, and focused on customer satisfaction.